The American Farm Bureau Federation’s 33rd annual survey of classic items found on the Thanksgiving Day dinner table indicates the average cost of this year’s feast for 10 is $48.90, or less than $5 per person. This is a 22-cent decrease from last year’s average of $49.12. 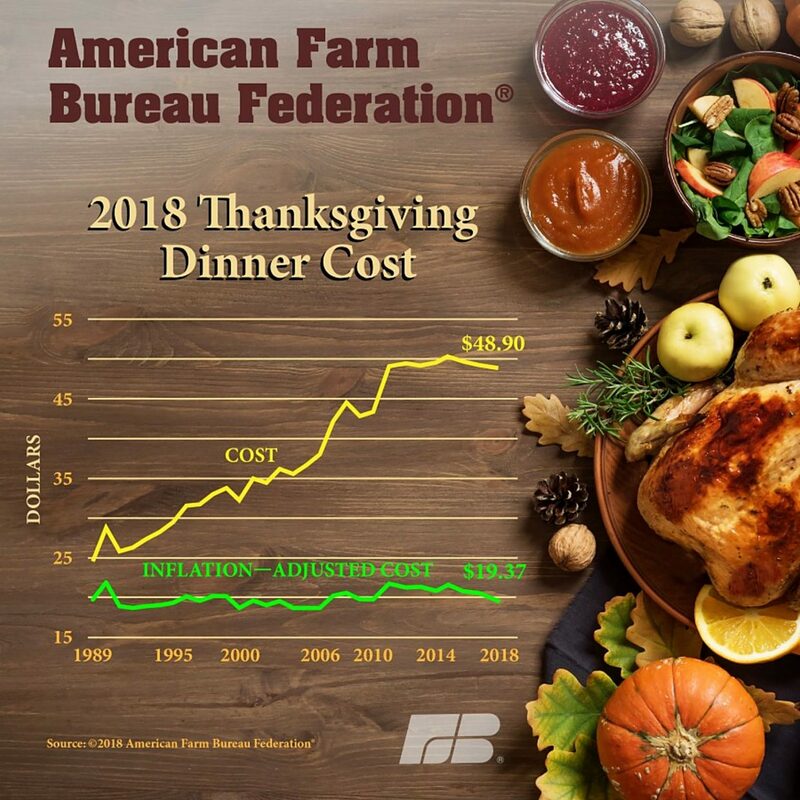 “Since 2015, the average cost of Thanksgiving dinner has declined steadily and is now at the lowest level since 2010,” said AFBF Chief Economist John Newton. 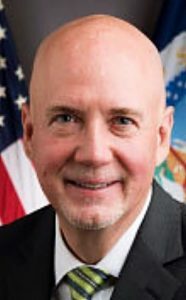 “Thanks to an ample supply, turkey remains affordable for consumers, which helps keep the overall cost of the dinner reasonably priced, as well,” Newton said. Several items saw modest price increases this year including cranberries, pumpkin pie mix and stuffing. A 12-ounce bag of fresh cranberries was $2.65; a 30-ounce can of pumpkin pie mix was $3.33; a 14-ounce package of cubed bread stuffing was $2.87; two 9-inch pie shells came in at $2.47 and a 1-pound veggie tray was $.75. 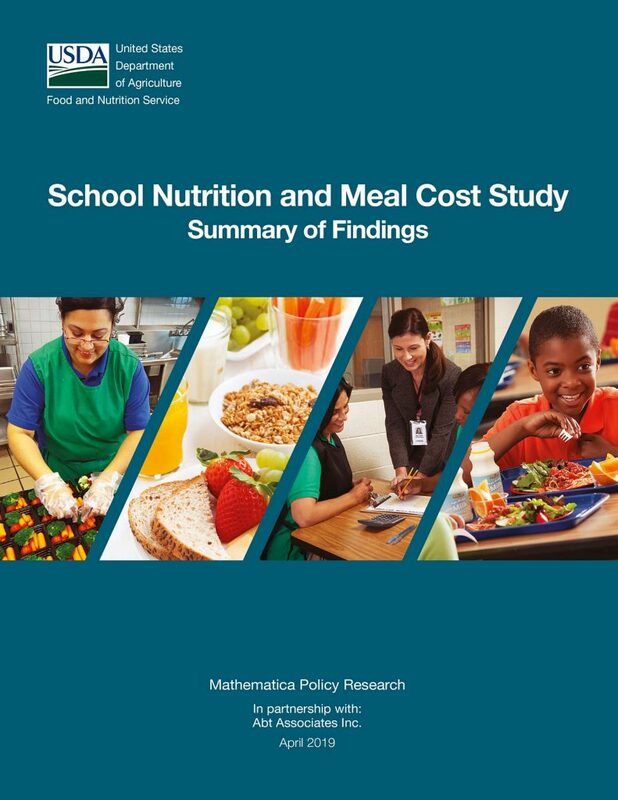 A group of miscellaneous items including coffee and ingredients necessary to prepare the meal (butter, evaporated milk, onions, eggs, sugar and flour) was also up slightly, to $3.01.